People who are interested in the handheld video games choose the devices based on some parameters such as if they offer excellent fun-to-play games that are enchanting as well as competitive. As expected by the game enthusiasts, the pioneer and the industry leader in this portable gaming device niche, Nintendo has planned to launch a series of powerful yet mind-blowing games in the 3DS platform throughout this year. We are going to see how some of these latest Nintendo games are made in order to entertain and engage its diehard fans. 1. Kirby: Planet Robobot – never fails to impress on the first look of the robot, which is velvety in texture, pinkish in color, and spherical in shape. With this soft-looking robot, you are going to kick all the mechanical mobs playfully indulging in a great deal of fun. 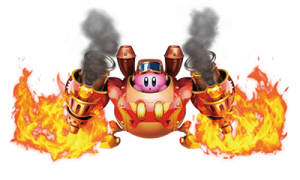 This robot is equipped with an ability to generate hurricanes through inhalation, and this ensures the players to taste the true thrill of beating and blowing those mad monsters in to the air. The official release of this masterpiece is due on June 10, 2016. 2. Dragon Quest VIII – I think this is one of most played games ever in the history of video games. The Nintendo has definitely done a great job in including this piece in the 3DS platform and is scheduled to release in the Summer 2016. As expected by the most players around the world, this Dragon Quest VIII like its previous versions will make you have fun and return again and again to play the game once you start out using this mind-stealing video game with its lengthy campaigns and frequent mini quests. 3. Monster Hunter Generations – The Concept is set on the backdrops of a strange world with full of creepy and squeaky animals that are too small or too big and with uneven physical characters. The whole atmosphere would make you think as if “this place is a hell and I should get out of it at once”. In order to drive them out of city and make it a clean and livable one, you start to procure and produce powerful weapons and strive to kill those strange beasts. If you succeed in your first attempt, then you should get yourself ready to the next pursuit. This game engages you by keeping you under the grip of fear and surprises. This game actually requires some learning at beginning. Once if you get used to it, then the fun is endless. This is also expected to be available in the Summer 2016. Apart from the above, many more latest Nintendo games such as Sonic Boom: fire & ice, Metroid Prime: Federation Force, etc. are also to be released in the year 2016.